Exhibition at The Hill House, National Trust for Scotland, Helensburgh. The idea came during a conversation with the head gardener. He said how he would like to force rhubarb. 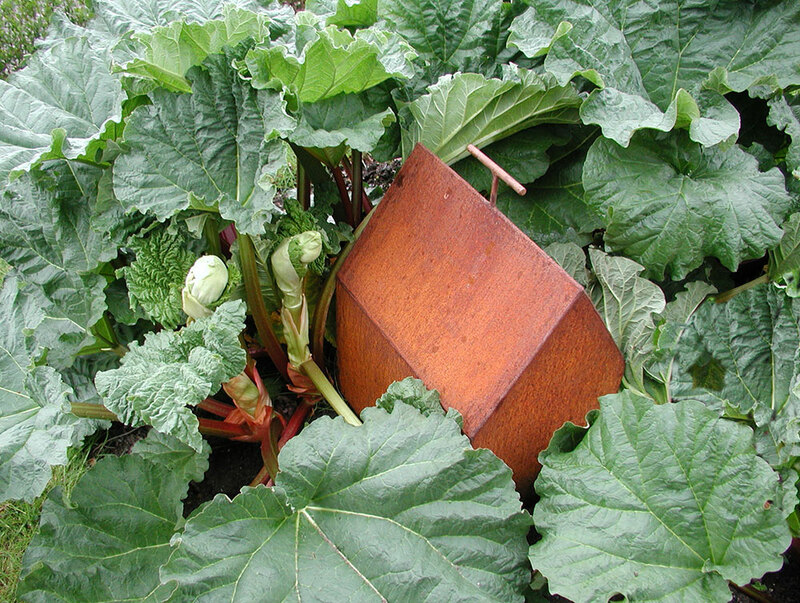 By depriving rhubarb of light it grows tender and sweet, with a deep red colour. There for improving the quality of the produce. A sculpture as a cloche.